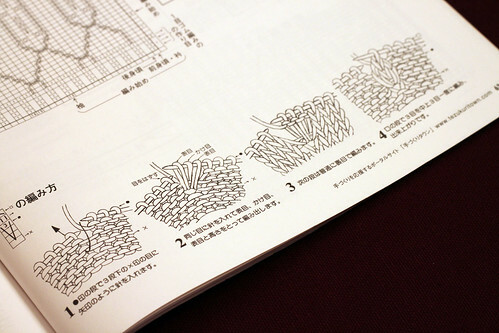 Here is another type of knitted cluster stitch from the Japanese knitting magazine. I really like the look of this one as a bud. Since it is worked over 3 rows it doesn’t fit into the leaf pattern very well. Maybe I can find a way to make it work. It is fun to knit and much easier than the crochet one in yesterday’s post. I’ll try and get a sample of both knit up. Happy Father’s Day! This entry was posted on Sunday, June 21st, 2009 at 3:00 am and is filed under Knitting. Tagged: Knitting. You can feed this entry. You can leave a response, or trackback from your own site.